The Hottest Summer Trend Prosecco Pong is Here! 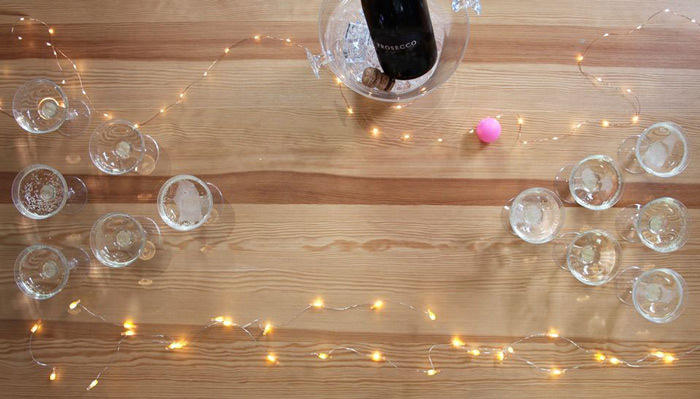 Spice up your summer with the new drinking game from Talking Tables Prosecco Pong. The games rules are similar to beer pong but with prosecco. We know it’s a great idea for all those fizzy lovers out there! The game from Talking Tables includes everything you need to get the party started. Twelve plastic prosecco glasses and three ping pong balls. For a classy summer prosecco pong night we suggest you to try the Zardetto Prosecco Brut, the Mionetto Luxury Prosecco and the Martini Sparkling Prosecco. To Buy Online the new drinking game click here. We offer Free UK Delivery and 10% off your 1st order after you subscribe to our newsletter.